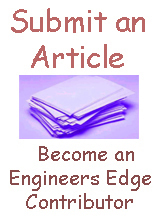 Summary And Evaluation Of Gear Applications for engineering and design. Spur Excellent Parallel shafting. High speeds and loads. Highest efficiency. Applicable to all types of trains and a wide range of velocity ratios. Simplest tooth elements offering maximum precision. First choice, recommended for all gear meshes except where high speeds and loads or special features of other types, such as right-angle drives cannot be avoided. Helical Good Parallel shafting. Very high speeds and loads. Efficiency slightly less than spur mesh. Most applicable to high speeds and loads; also used wherever spurs are used. Equivalent quality to spurs except for complication of their angle. Recommended for all high-speed and high-load meshes. Axial thrust component must be accommodated. Crossed-Helical Poor Skewed shafting, point contact, high sliding, low speeds and light loads. Relatively low velocity ratio; low speeds and light loads only. Any angle skews shafts. To be avoided for precision meshes. Point contact limited capacity and precision. Suitable for right-angle drives if light load. A less expensive substitute for bevel gears. Good lubrication essential because of point contact and high sliding action. Internal Spur Fair Parallel shafts, high speeds, high loads. Internal drives requiring high speeds and high loads; offers low sliding and high stress loading; good for high capacity long life. Used on planetary gears to produce large reduction ratios. Not recommended for precision meshes because of design, fabrication and inspection limitations. Should only be used when internal feature is necessary. Bevel Fair to good Intersecting shafts, high speeds, high loads. Suitable for 1:1 and higher velocity ratios and for right-angle meshes (and other angles). Good choice for right-angle drive particularly low ratios. However, complicated tooth form and fabrication limits achievement or precision. Should be located at one of the less critical meshes of the train. Worm Mesh Fair to good Right-angle skew shafts, high velocity ratio, high speeds and loads. Low efficiency, most designs nonreversible. High velocity ratio, angular meshes, high loads. Worm can be made to high precision, but worm gear has inherent limitations. To be considered for average precision meshes, but can of high precision with care. Best choice for combination high velocity ration and right-angle drive. High sliding requires excellent lubrication. Strength of the gear in order to avoid failure at starting torques or under dynamic loading during running conditions. Gear teeth must have good wear characteristics. Provision of adequate and proper lubrication arrangement. Generally cast iron, steel, brass and bronze are preferred for manufacturing metallic gears with cut teeth. Where smooth action is not important, cast iron gears with cut teeth may be employed. Commercially cut gears have a pitch line velocity of about 5 metre/second. For velocities larger than this, gear sets with non-metallic pinions as one member are used to eliminate vibration and noise. Non-metallic materials are made of various materials such as treated cotton pressed and moulded at high-pressure, synthetic resins of the phenol type and rawhide. Moisture affects rawhide pinions. Gears made of phenolic resins are self-supporting on the other hand other two types are supported by metal side plates at both ends of the plate. Large wheels are made with fretting rings to save alloy steels. Wheel centre is commonly cast from cast iron. The ring is forged or roll expanded from steel of the respective grade specified by the tooth design.